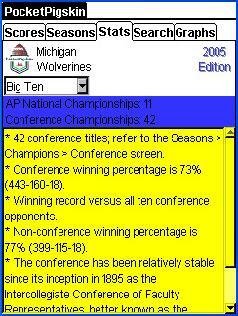 The Conference selection displays significant details in conference play, such as the number of championships, cumulative records, and other notable accomplishments. 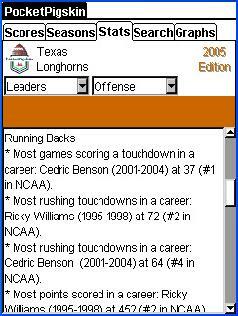 The Leaders selection notes player stats that rank at the top of the NCAA historical records. Categories include Offense, Defense, and Special Teams. 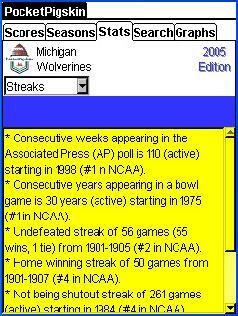 The Streaks selection displays active and past streaks of interest for your team. This may include winning/undefeated streaks, season records, poll results, etc.